We Filipinos are being/have been bombarded by media about rumors of "military coups", "civilian-military juntas," etc. Many of us, the unarmed citizenry, are tired, disgusted, hopeless, even indifferent, and essentially lost and simply want out, out of the homeland if at all affordable. We look at our AFP and what do we see? Beginning with the Marcos Dictatorship, our military has effectively become the protector of the status quo; the status quo of greed and corruption, of governance against the majority of the citizenry, of the powers-that-be in the succeeding post-Marcos regimes who have been/are bent on maintaining and expanding their influence and control of our homeland, together with their profitable subservience to foreign businessmen and transnationals. In the midst of all these rumors, it remains our urgent task, one that is long overdue, for us Filipinos, especially those left in the homeland to educate ourselves and others, especially the impoverished, about the "what, why, how, when and where" of our socio-economic and political predicaments so that we can appreciate our common anguish, gain unity as a nation, identify honest and strong nationalist people whose combined leadership we can work/struggle with, in however small way, towards the attainment of the common good: for our own betterment, of our children, grandchildren and subsequent generations of fellow Filipinos in our country of birth. 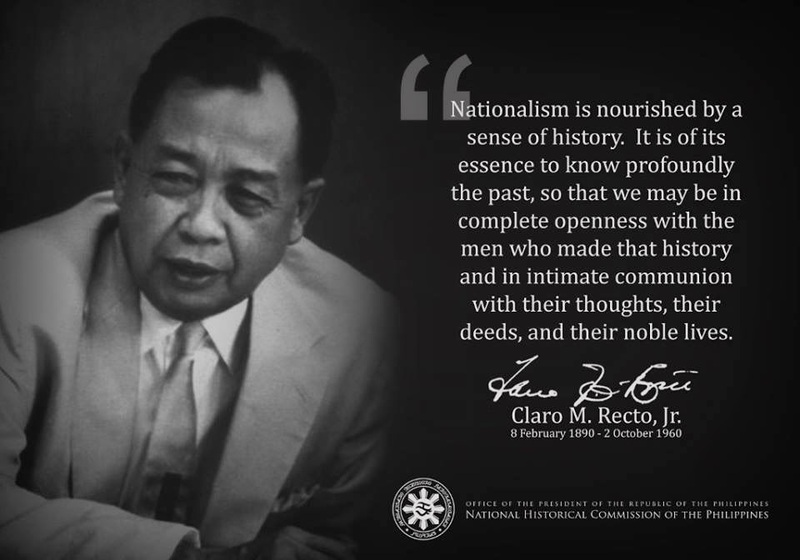 We Filipinos abroad and those in the homeland, most especially,need to be informed, to understand and to evaluate the current waves of pronouncements from military men speaking against the current regime, as to whether these rebellious soldiers are truly for fundamental and radical changes in our socioeconomic and political systems, whether they are sincerely nationalistic (not native tools of foreign dominance) and with goals for the common good, for the betterment of the impoverished majority. http://www.sundalo.bravehost.com/. I suggest that you visit the site. P.S. Growing up, I looked up to the cadets and graduates (including a first cousin) of the PMA. However, the Marcos Dictatorship left a legacy of corruption that greatly influenced and changed for the bad the even the then highly-respected, PMA-schooled officer corps --the tax-paid and supported recruits and military institute-- as we see in these exposes. These facts are disappointingly sad, to put it mildly. While the canvassing of votes was being done inside Military Camps in Jolo, Sulu, watchers from both the Opposition and Administration Parties were given wads of cash by officers for them to leave the canvassing area. After the watchers left, the results were rigged in favor of GMA. The money was brought by MGEN HERMOGENES ESPERON (Cav '74) in large black backpacks and distributed to concerned commanders. Then MGEN GABRIEL HABACON (Cav '72) was the Commander of Task Force COMET based in Sulu. For his participation in the election cheating, HABACON was promoted to Commander, SOUTHCOM under scandalous circumstances that forced the cancellation of the turn-over ceremonies for the supposed new commander, MGEN SAMUEL BAGASIN (Cav '72). Then COL NEHEMIAS PAJARITO (Cav '76) was the Brigade Commander of the 104th Brigade based in Sulu. For his involvement in the election cheating, PAJARITO was later promoted to BGEN. He later got his second star. Then COL NELSON ALLAGA (Cav '76) was the Brigade Commander of the 3rd Marine Brigade based in Sulu. He later admitted openly to several Marine officers that he distributed money to his battalion commanders to rig the results in favor of GMA. For this, he was promoted to BGEN. He is now LTGEN and Commander of WESMINCOM. During the municipal and, later, provincial canvassing in Tawi-Tawi, then Navy CAPTAIN FELICIANO ANGUE (Cav '78) kept on calling COL ARIEL QUERUBIN (Cav '79) to express his disgust with then MGEN HERMOGENES ESPERON's (Cav '74) because of the latter's instruction for him (ANGUE) to tamper with the election results in Tawi-Tawi so that GMA gets additional votes in Tawi-Tawi. ANGUE told QUERUBIN that instead of complying, he appealed to ESPERON that the "special operations" be done elsewhere since Tawi-Tawi does not have a big voter population to play with. Because of his non-cooperation, ANGUE was immediately relieved of his post. However, since he kept quiet about this incident, he was eventually promoted to Commodore. PMA CLASS '77 "Chicken Club"
Members of Class '77 have what they call the "CHICKEN CLUB" which meets every Wednesday for lunch at Camp Crame. The said lunch meeting was usually hosted by S/SUPT EDGARDO H DIVINA. Not long after the '04 elections, then COL RAYMUNDO FERRER attended a "CHICKEN CLUB" meeting with more than a dozen members of the class. Among those present are BOY CAMAGAY, MANDY ANDAYA, and CHITO MANGUBAT. FERRER, at that time, was Brigade Commander of the Army Brigade based in Basilan. He was bragging to his classmates that he was the one who "took charge of the ballot boxes" in Basilan. He was relating it like it was the most commendable thing he has ever done. FERRER was later promoted to BGEN (also the first Army general of his class), and later on, was also the first to get a second star. During a meeting at the Chief of Staff's Office, GEN GENEROSO SENGA (Cav '72) confessed to BGEN DANILO LIM (Cav '78), COL ARIEL QUERUBIN (Cav '79) and MGEN RODRIGO MACLANG (Cav '76) that he himself is "not clean" and he was also "used "during the 2004 presidential election cheating. 5. Conduct of further investigation to determine the specific culpability of some AFP personnel on their alleged" involvement in the 2004 elections cheating. 'GARCI' GENERALS and other military and police officials whose names were mentioned in the Hello Garci wiretapped conversations BRIG. GEN. FRANCISCO GUDANI, Marine brigade commander in charge of the Lanao provinces: Gudani's name was mentioned in the Hello Garci recordings (May 28 22:13 and June 8 13:25) as the uncooperative military officer who refused to go along with COMELEC Commissioner Virgilio Garcillano. He defied EO 464 and appeared at a Senate hearing on the Hello Garci wiretapping controversy on September 28, 2005. The executive order, issued earlier that day, banned senior government officials including the military from appearing in congressional investigations without the prior approval of President Arroyo. During the hearing, Gudani said that he saw vote-buying and other irregularities in Lanao during the 2004 elections. Citing information from his unnamed source, he also claimed First Gentleman Mike Arroyo flew to Mindanao twice in a private helicopter days before the election to deliver boxes containing approximately P500 million. Gudani also said that he was called to Manila by his superiors "just to play golf" when all armed forces unit commanders were on red alert in the days after the 2004 elections, when vote counting was being done. He became assistant superintendent of the Philippine Military Academy eventually sacked from his post and charged by the AFP with violation of Article of War 65 (willful disobedience of a superior officer) following his appearance at the Senate hearing. BRIG. GEN. HERMOGENES ESPERON, JR., Deputy chief of staff for operations. A "Gen. Esperon" was mentioned in the Hello Garci recordings (May 28 22:13; June 8 13:25). In the conversations, "Gen. Esperon" was mentioned along with "Gen. Kyamko" as having a hand in temporarily taking out Brig. Gen. Gudani from Marawi and Lanao during the canvassing of votes in those areas. He replaced Lt. Gen. Generoso Senga as commanding general of the Philippine Army in 2005, (after the Hello Garci recordings came out). LT. GEN. ROY KYAMKO, Commander, Southern Command. A "Gen. Kyamko" was mentioned in the Hello Garci recordings (May 28 22:13; June 8 13:25) In the conversations, "Gen. Kyamko" was mentioned along with "Gen. Esperon" as having a hand in temporarily taking out Brig. Gen. Gudani from Marawi and Lanao during the canvassing of votes in those areas. MAJ. GEN. GABRIEL HABACON, Chief of Task Force Comet, whose jurisdiction included the Western Mindanao region. A "Gen. Habacon" was mentioned in the Hello Garci recordings (May 29 14:00; June 2 22:29). In the conversations, the man believed to be Garcillano allegedly said that Habacon still did not know much about matters pertaining to changes in election returns. After the elections, Habacon became commanding general of the 1st Infantry Division, Philippine Army. In January 2006, he was appointed chief of the Southern Command, replacing Lt. Gen. Edilberto Adan; Habacon assumed the post just months before his retirement in September 2006. Sen. Rodolfo Biazon dubbed Habacon's appointment as a "payback appointment". P/DIR. GEN. ARTURO LOMIBAO, Director, PNP Criminal Investigation and Detection Group. A "Gen. Lomibao" was mentioned in the Hello Garci recordings (June 5 17:01; June 6 19:00; June 7 20:38). In the conversations, it seemed that the man believed to be Garcillano had coordinated with or contacted Lomibao during the canvassing of votes, and that Lomibao went to Zamboanga. Became chief of the directorial staff. Appointed PNP chief in March 2005. (Ret.) GEN. HERMOGENES EBDANE, JR., Chief, PNP. A "Gen. Ebdane" was mentioned in the Hello Garci recording on June 5 17:01. In the conversation, the man believed to be Garcillano mentioned that it was Ebdane who instructed Lomibao to go to "Languyan." (Languyan is a municipality in Tawi-Tawi province). Appointed National Security Adviser by President Arroyo when his stint as PNP chief ended in 2004. Appointed DPWH secretary in February 2005. COL. AMINKADRA SALAHUDDIN UNDUG, Commanding officer of ISAFP MIG9 based in Zamboanga. A "Col. Undug" was mentioned in the Hello Garci recording on June 5 13:41. In the recording, one of the men said he asked the ISAFP through "Col. Undug" in Zamboanga to pick up the family of a certain "Rashma" and use them as a "bargaining chip" to prevent this "Rashma" from "talking." Garcillano: Hello, good evening ma'am. GMA: Hello, the FPJ camp raw will file a case against the Board of Canvassers of ano, dun sa Marawi, and the military? GMA: The FPJ camp raw will file a case raw against the Board of Canvassers and the military in Marawi? Garcillano: Hindi naman ho siguro nila maa-ano yung ating Board of Canvassers, pero ang military, kasi si Gudani, sa kanila si Gudani. I do not know why they will file. Garcillano: Sa kanila si Gudani ma'am. In fact that's why we have, I have to work with Gen. Esperon and Gen. Kyamko na at that time, pinalitan namin si Gudani for a while. Kaya kwan, pero bakit nila file-filan yang mga military na sa kanila lahat. Halos ayaw na nga mag-give way sa aming mga tao. Garcillano: Hello ma'am, good afternoon. Tumawag raw kayo ma'am? GMA: Yes, oo. Sabi nung kabila, nagpaplano-plano sila among themselves, meron daw silang mga affidavits from teachers and Board of Canvassers na they witnessed and were made to cheat. Garcillano: Wala naman hong, saan ho nila kaya, yung kwan ho kanina, yung sinabi nyo sa Pangutaran it's like this. It's true na yung nag-appear doon, nabaligtad si FPJ. Pero sa canvassing sa province, ang result yun din hong original ang nalagay because of the words and figures were not changed. Garcillano: Kasi sila Gen. Habacon ba, hindi masyadong marunong pa dyan, medyo sila ang umano nun. Nag-explain ho sa akin yung election officer ng kwan, ng Pangutaran, si kwan. Garcillano: Hello, ma'am. Good evening. GMA: Hello. Dun sa Lanao del Sur tsaka sa Basilan, di raw nagmamatch ang SOV sa COC? Garcillano: Ang sinasabi nya, nawala na naman ho? Garcillano: Hindi nagmamatch? May posibilidad na hindi magmatch kung hindi nila sinunod 'yung individual SOV ng mga munisipyo. Pero aywan ko lang ho kung sa atin pabor o hindi. Kasi doon naman sa Basilan at Lanao Sur, itong ginawa nilang pagpataas sa inyo, hindi naman ho kwan, maayos naman ang paggawa eh. Garcillano: Oho. Sa Basilan, alam nyo naman ang mga military dun eh hindi masyadong marunong kasi silang gumawa eh. Katulad ho dun sa Sulu, sa General Habacon. Pero hindi naman ho, kinausap ko na 'yung Chairman ng Board sa Sulu. Ang akin patataguin ko na muna yung EO ng Pangutaran na para hindi siya maka-testigo ho. Na-explain na ho yung sa Camarines Norte. Tomorrow we will present the official communication dun ho sa Senate. 'Yung sinasabing wala hong laman 'yung ballot box. Na- receive ho nila lahat eh. Garcillano: Tumawag ho kayo kanina ma'am? GMA: Yeah, about that Lanao del Sur nga at tsaka Basilan. Garcillano: Iaano ko na lang ho, nag-usap na kami ni Abdullah dun sa kwan kanina. About this, iaano ko ho, huwag ho kayong masyadong mabahala. Anyway, we will take care of this. Kakausapin ko rin si Atty. Macalintal. GMA: Oo. Tapos nun, si uhm ... sa Languyan, meron daw silang teacher na nasa Witness Protection Program ng kabila. Languyan. GMA: 'Yung kabila. May teacher daw silang hawak. Garcillano: Wala naman ho, baka nananakot lang ho sila kasi. Garcillano: Languyan, Tawi-tawi? Wala naman ho tayong kwan dun, wala tayong ginawa dun, sa Languyan. Talo nga tayo dun, talo nga si Nur dun eh. Garcillano: Sige, aanuhin ko ho lahat ng 'yan. GMA: Ok, ok. Thank you. Boy: Hello, sir. Si Rashma parang nandyan sa Manila. Garcillano: Nasa Manila? Naku delikado. Hindi ba natin makontak? Boy: Walang ano … In-off ang cellphone. Pinahanap ko sa ISAFP. Garcillano: Ah ... delikado yan. Boy: Oo nga, sabi ko sa ISAFP doon kay Colonel Undug sa Zamboanga para may bargaining chip tayo dyan, eh damputin na natin 'yung pamilya din niya. Para di na siya makapagsalita. Boy: Kasi delikado yan eh. Garcillano: Pero nagawa bang talaga yan? Garcillano: Languyan. Primero Languyan hapun..
Man: Wala naman silang sinasabing ganyan. Garcillano: Oo. Nasabihan ko na niyan si Mike Abas. Man: So, tatawag na lang siya sa akin mamaya, sir? Garcillano: Oo, tatawag siya sa iyo. Di niya alam na nasa iisang lugar lang kami. Akala niya siguro nasa Mindanao ako. Si Gen. Lomibao ba. Garcillano: Oo, Chief PNP. General na siya. Garcillano: Hello ma'am. Good evening. Tumawag po kayo. GMA: Ah dumating...dapat i-sigurado natin consistent yung mga documents sa Maguindanao. Garcillano: Oo ma'am. Hindi naman ho masyadong problema sa Maguindanao. Ano ho yung itinext ninyo kagabi na may mga fake precincts na ako raw ang mastermind? Garcillano: Pero ma'am … Ano ba naman. Hindi ko maintindihan what they are trying to drive at when 120 days before elections established na ang precincts. GMA: Ah ok, ok. Siguro ano, mga shot in the dark lang 'yun, but I'm just letting you know everything I find out para we can always make the appropriate remedies. Garcillano: Si Gen. Lomibao nasa Zamboanga na. I have all the people around us talk to him so that they will be able to prevent who is going to work. GMA: Ok. Ok. Ok. Sige, thank you. Garcillano: Eto, nag-aano ako kasi. 'Yung sa Tipo-tipo na tao, parang nasa kamay na nila. Ruben: Eh hindi, di ba ang gagamiting magte-testify siguro 'yun against the President regarding the bawas-dagdag na ginawa dun sa ano. Ruben: Hindi, 'yun ang pinepresenta di ba? Yan 'yung pinepresenta ni Rufus Rodriguez pati yung kay Ebron? Garcillano: Sabihin mo dyan sa military na 'yan, wag silang masyadong kwan makikialam, kasi sinampal pala si Ebron eh, aking tao yan eh, taga Batangas yan eh. Garcillano: Oo, huwag namang ganun. Bago nila ginawa yun nung primero, sinampal pa siya eh, kaya mangiyak-ngiyak yung tao eh. Pero kahit pakainin mo ng bala yun, di na magpapakita. Ngayon, itong si Rashma Hali, wala naman masasabi against kay ma'am eh, kahit anong gawin nila because she has not done anything except kay Wahab Akbar. Kaya dapat si Wahab ang mawarningan. pina-aano ko kay Wahab ngayon, dapat si Presidente ma-kwan niya kay Wahab para si Wahab ang kumuha ng taong yan kung hindi, ipakukuha ko ang pamilya niyan. Garcillano: Oo, pero dapat malaman ni Wahab na si Wahab, kasi ang more damage will be against that Wahab Akbar, not the President. Garcillano: Kaya kung maaari papupuntahin ko nga rito yung supervisor, patago ko rin dito sa kin. Because, I want to clean out kung alin yung mga by municipality results. Ruben: Hindi 'yun nga ang nagkakaproblema dahil si Wahab ang nagpatrabaho nyan eh. Garcillano: Yung mga tao namin diyan, eh galit na galit sa kanya eh. Kaya ito, kung anuman, basta malalaman ko hanggang umaga, ng maagang-maaga kung ano talaga ang score doon so I can tell them to get her family kung halimbawa. Sabagay medyo matindi na ito kasi nandun naman si Lomibao, nandun din si... ewan ko kung sino pang nandun, may isang colonel na nandun. Kung kailangang kunin, di kunin na ang pamilya nya. Lokohan na rin lang eh, di kwan. Pero yang Rufus na yan, wala namang alam yan. Garcillano: O sige. Basta we'll ask somebody to look for her and then get her family, kung pwede. Ruben: Oo, oo. Tanong ko lang sa 'yo pare, papaano 'yung ano natin, sa party-list? Garcillano: Hindi ko pa maa-ano kasi hanggang ngayon wala kaming usapan mga tao tungkol diyan. Tatawagan kita bukas ng tanghali kung anuman. Gene: Boss, nakatanggap ako ng certification ngayon dito galing sa mga bata natin sa Lanao, nag failure na naman pala dahil kay Gudani. Gene: Oo nga, ba't andudoon na naman, papaano 'to? Garcillano: Oo nga, bumalik na naman. Kaya nga ayaw makialam si First Gentleman dyan. Sabi ko nga, pinasabihan ko nga kay Ruben Reyes na paalisin na nyo yan. Garcillano: Oo, pinaalis ko yan eh. Pero after three days after elections, bumalik man dyan. And nag (garbled) dyan si Col. Quirino thru Gen. Esperon at tsaka si Gen. Kyamko. Gene: Eh ano ba gagawin ko, gagawan ko pa ba ng memo 'to o ipapareschedule, papaano, gagawa ako ng memo sa en banc? 2. LTC RESTITUTO ANIMAS BACLAYON PAF (Cav '85) - together with Gen. Esperon, Navy Capt. Feliciano Angue and Ortiz went to Malacanang to get instructions from GMA herself prior to the 04 Elections. He has in his possession the Garci wiretapped conversations and other incriminating documents. 3. CPT VALENTINO REYES LOPEZ PA (Cav '94) - He was the chief security officer of his uncle, Garci. He was also the ''bag man'' of Esperon. He was charged of a P50 million bribery to a Comelec Regional Director but the case did not prosper. Presently detailed at PDEA. a. MAJ ALEXEI CARREON MUSNGI (Cav '93) - Jolo operations. Now in the office CG PA.
b. MAJ ROBERT BARBERAN MASA (Cav '90) - Jolo operations. Now in the office CG PA.
c. MAJ NEONEL MANUEL NICHOLAS (Cav '91) - Zamboanga operations. Now at ISG. d. MAJ SISON – Zamboanga operations. Now at G2/ISG. a. LTC GILBERT ITALIA GAPAY (Cav '86) - then TF HOPE '04 finance/disbursing officer. Now Armor Battalion Cmdr. b. COL REY CABAHUG ARDO (Cav '81) - Mindanao operations, TF HOPE . c. COL DANIEL ABIA LUCERO (Cav '83) - Now Exec Asst. CS AFP. d. BGEN RALPH AGUILAR VILLANUEVA (Cav '78) - former G2 PA.
e. LTC OSCAR TACCAD LACTAO (Cav '84) - Now at the office CS AFP. f. LTGEN ROY KYAMKO - Then Southern Command Chief. Now head of PTF Anti Environment Crimes based at Camp Aguinaldo; Close aide revealed relationship with GMA has turned sour. g. VADM. ERNESTO HERNANDEZ DE LEON (Cav '72) - promised GMA to secure ballot boxes once on board any navy ship. h. MGEN ARSENIO RICAMORA ARUGAY (Cav '75) - former Bicol Deputy Brigade Comdr. Now 9th Div Comdr also in Bicol. Recently forced soldiers to campaign for Team Unity by giving them 3 to 6 days pass. 7. LTC FRED PELONIA - a reserve officer who was one of the marine battalion commanders who received money from then COL ALLAGA. 8. LTC ELMER ESTOPIN - a reserve officer who was one of the marine battalion commanders who received money from then COL ALLAGA. 9. COL GOMITO PIRINO - replaced BGEN GUDANI as Commander of TASK FORCE RANAO when GUDANI refused to slacken security that made it difficult for GARCI to cheat in Lanao. 11. LTGEN RODOLFO GARCIA (Cav '70) - Commander of Task Force Hope'04 and was then VCS, now with Fortune Tobacco. He campaigned for PGMA during his "talks" with soldiers (so did then-Defense Sec. Ermita) without mentioning names, eg: "..of course you will not vote for an actor.." "..we should vote for the candidate who has the experience, appropriate academic background.. etc." Most of the aforementioned sins of our fellow Cavaliers were provided by other Cavaliers who still believe in the tenets of the Honor Code. Last August 2007, this author filed Senate Bill No. 1467 entitled "An Act Defining the Archipelagic Baselines of the Philippine Archipelago, Amending for the Purpose Republic Act No. 3046, as Amended by Republic Act No. 5446." or otherwise known as the "Archipelagic Baselines Law of the Philippines." The bill was the result of a series of consultations primarily with former Senator Leticia Ramos-Shahani, who first pushed for the Baselines bill way back in 1993. It basically defines the archipelagic baselines to include the Scarborough Shoal and designates the Kalayaan Island Group (KIG) as a "regime of islands." To further facilitate the passing of the bill, the technical details provided by the National Mapping and Resource Information Authority (NAMRIA) as enumerated in House Bill No. 1202 filed by Congressman Antonio V. Cuenco as well as its other provisions were adopted in toto. Congress, however, filed HB 3216 that substituted for HB 1202. Recently, controversies arose with the discovery of the particulars of the Joint Marine Seismic Undertaking (JMSU) being conducted by RP, China and Vietnam within the waters off Palawan. Thereafter, Malacanang pressured Congress to revert HB 3216 back to the Committee on Foreign Relations ostensibly to push for certain amendments. These two seemingly unrelated events inevitably pushed the baselines issue at the top of the national policy agenda. Given this context, now is the best time for us to finally resolve this issue. This paper intends to explain and justify the position adopted in SB 1467 and differentiate it with the other options, as well as to clarify other closely related subjects surrounding the baseline issue. The first time the author studied the United Nations Convention on the Law of the Sea (UNCLOS) agreement was in 1994 as part of a course in International Law given to graduating cadets of the Philippine Military Academy who intend to join the Philippine Navy. The course focused on the UNCLOS provisions particularly: the archipelagic doctrine; the coastal state's rights and duties within the territorial sea, contiguous zone and the exclusive economic zone (EEZ); the right of innocent passage; the doctrine of hot pursuit; and other provisions concerning enforcement of maritime laws. After graduating, however, the new Navy officers were surprised to find out that the NAMRIA-supplied nautical charts used aboard Philippine Navy ships defined the territorial limits of the country as those stated in the Treaty of Paris plus the attached KIG borders defined by PD 1596, and not the UNCLOS definitions as taught to them at PMA. To be fair, NAMRIA has no other basis than the Treaty of Paris because our country, precisely, has yet to pass a new baselines law that would amend the pre-UNCLOS baseline law, the RA 5446, which is not compliant with the UNCLOS criteria. To complicate matters, the Navy uses PD 1599, a pre-UNCLOS unilateral declaration of our country's EEZ, as a mandate to enforce maritime laws in these areas. As a consequence, the author remembers that when their ship patrolled as far east as the Anson Shoal in the Pacific, they used the Treaty of Paris as reference. And when they patrolled as far west as the Scarborough Shoal in the South China Sea, they used PD 1599. In short, as of the moment, we have two sets of boundaries (PD 1599 and Treaty of Paris with PD 1596) and we will yet define another one (UNCLOS). PD 1599, as mentioned above, is a unilateral declaration by the Philippines of its EEZ as measured from the baselines as defined by RA 5446. It was signed by then Pres. Ferdinand Marcos on 11 June 1978. The Treaty of Paris is a peace treaty forged between the US and Spain in 10 December 1898. It detailed, among others, the territorial limits of the Philippine archipelago as being ceded by Spain to the US. These same limits were then used to define our national territory when we eventually gained indepedence from the US in 1946. The UNCLOS, formally known as the Third United Nations Convention on the Law of the Sea or UNCLOS III and also called the Law of the Sea Convention, refers to the international agreement that came out of the UN conferences from 1973 to 1982. The agreement consists of 320 articles and 9 annexes. To date, 155 countries have already ratified the UNCLOS and it officially came into force in 16 November 1994. The Philippines became the 11th country to ratify UNCLOS on 08 May 1984. It defines, among others, the limits of the territorial sea, contiguous zone and the EEZ of a coastal or archipelagic State. Each of the above reference options has its own strengths and weaknesses, but if we are to consider both the validity in International Law and the area covered, the UNCLOS option is superior to the other two. PD 1599, while almost as vast as the UNCLOS option in terms of area, has practically no binding effect in International Law by virtue of its being a unilateral declaration in the pre-UNCLOS era. Moreover, since we have ratified UNCLOS and, therefore, agreed to its provisions, we are obliged to rescind PD 1599. The Treaty of Paris, meanwhile, may still have a binding effect in International Law, notwithstanding the UNCLOS ratification. However, its total area covered is significantly smaller because it cannot avail of the EEZ provisions of the UNCLOS. As to the legal alternative of retaining the Treaty of Paris while availing of the UNCLOS option, we, as a self-respecting people living within a community of nations, should not have two sets of boundaries that we can use for our own convenience. It is simply not fair; it is simply not right. Therefore, it is in our country's best interest to adopt solely the UNCLOS option. Baselines are reference lines drawn by a coastal or archipelagic State using different methods as discussed below. They are used to measure the breadth of the territorial sea (12nm), contiguous zone (24 nm), EEZ (200nm) and continental shelf (up to 350nm). Also, the waters enclosed by the baselines are called archipelagic waters over which an archipelagic State exercises sovereignty. 1. Normal Baseline, according to Art. 5, "is the low-water line along the coast as marked on large-scale charts officially recognized by the coastal State." 2. Straight Baseline, according to Art. 7, can be employed if ever "the coastlines are indented and cut into or there is a fringe of islands along the coast in its immediate vicinity." 3. Archipelagic Baseline, according to Art. 47, is a method of "joining the outermost points of the outermost islands and drying reefs of an archipelago provided that within such baselines are included the main island and an area in which the ratio of the area of the water to the area of the land, including atolls, is between 1:1 and 9:1." Of the three methods, the archipelagic baselines method is most applicable and advantageous to an archipelago such as ours. Otherwise, to use either the Normal or Straight baseline methods, which are primarily designed for coastal States, would effectively waive our status as an archipelagic State and lose much of the archipelagic waters as defined above. 1. OPTION 1: The main archipelago and Scarborough Shoal are enclosed by the baselines while KIG is classified as regime of islands. This is the option adopted by SB 1467. 2. OPTION 2: Only the main archipelago is enclosed by the baselines while KIG and Scarborough Shoal are classified as regime of islands. This is the official position of Malacanang through recent pronouncements and the DFA position paper written on 02 Aug 2005. 3. OPTION 3: The main archipelago and KIG are enclosed by the baselines while Scarborough Shoal is classified as regime of islands. 4. OPTION 4: The main archipelago, KIG and Scarborough Shoal are enclosed by the baselines. This is the option adopted by HB 3216. To have a better view of the differences between the baseline options, the table below (which includes RA 5446) was lifted from the briefing documents prepared by NAMRIA. RA 5446: There are a few weaknesses in RA 5446. One, it violates para 2 of Art. 47 of UNCLOS where it states: "The length of such baselines shall not exceed 100 nautical miles except that up to 3 percent of the total number of baselines enclosing the archipelago may exceed that length, up to a maximum of 125 nautical miles." As we can see from the table, RA 5446 has one baseline that exceeds the 125nm limit for long baselines. Another weakness of RA 5446 is: it does not optimize the area of the EEZ since it excluded both Scarborough Shoal and KIG from the baselines and both were not designated as regime of islands. OPTION 1/ SB 1467: The main strength of this option is that it maximized the area by including Scarborough Shoal without violating the archipelagic baselines provisions by classifying KIG as regime of islands. It is, therefore, UNCLOS compliant. However, there are some misconceptions regarding the label "regime of islands" that it supposedly weakens our claim or reduces our sovereignty over the areas labeled as such. On the contrary, "regime of islands" is defined in Art. 121 as: 1) island/s that is naturally formed, surrounded by water and is above water at high tide; and 2) it shall have its own 12nm territorial sea, 24nm contiguous zone, 200nm EEZ and continental shelf. In other words, islands classified as regime of islands are treated the exact same way as other land territory. The only possible reason that coastal States would be forced to classify their territory as a regime of islands is because such territory is impossible to enclose within the baselines without violating other UNCLOS provisions. The Falkland island group is one example. Since the UK is at the other end of the Atlantic which made it impossible to include Falkland in its own baseline, it has no choice but to classify Falkland as a regime of islands. The US (if ever it ratifies UNCLOS) would probably classify Hawaii as a regime of islands by virtue of its distance from the mainland. The Scarborough Shoal was included in the baselines primarily because its distance from Luzon is less than the 125nm limit. With this, our country stands to gain approximately 14,500sq nm of EEZ and continental shelf. Another reason for its inclusion is that Scarborough Shoal is basically a rock and according to para 3 of Art. 121, the regime of islands definition has an exception and that is: "Rocks which cannot sustain human habitation or economic life of their own shall have no exclusive economic zone or continental shelf." Therefore, while it is advantageous for us to designate KIG as a regime of islands, we would be depriving ourselves of the EEZ and continental shelf of Scarborough Shoal if it would be designated as a regime of islands. Of course, China is expected to protest the inclusion of Scarborough Shoal within our baselines. Probably, it may even be the reason why Malacanang pressured Congress to freeze legislative action on HB 3216. But if we truly believe that our claim over Scarborough Shoal is legitimate then we have every right to enclose it within our baselines. This does not mean, though, that we are provoking China into a war because, according to Art. 279, State Parties to the UNCLOS are obliged to settle any dispute by peaceful means. OPTION 2/MALACANANG OPTION: The main weakness of this option is, while it is UNCLOS compliant, it failed to protect the interest of our country by not including Scarborough Shoal in the baselines when there is no hindrance to do so. True, this option designates Scarborough as a regime of islands but, as discussed above, a rock formation is not entitled to an EEZ and continental shelf when labeled as such. Even if it will still have its own territorial sea and contiguous zone, these would have no effect in terms of additional area since the EEZ measured from west coast of Luzon will extend over these zones. OPTION 3: There are several weaknesses with this option. Aside from those mentioned in Option 2 with the designation of Scarborough Shoal as regime of islands, this option is also not UNCLOS compliant for including KIG in the baselines. This will be discussed extensively below since Option 4 also included KIG in the baselines. OPTION 4/HB 3216: At first glance, this may seem to be the best option. However, it violated para 4 of Art. 47 which states: "Such baselines shall not be drawn to and from low-tide elevations, unless a lighthouse or similar installations which are permanently above sea level have been built on them or where a low-tide elevation is situated wholly or partly at a distance not exceeding the breadth of the territorial sea from the nearest island." Based on the table above and HB 3216 itself, Sabina Shoal and Iroquois Reef are low-tide elevations. A low-tide elevation, according to Art. 13, "is a naturally formed area of land which is surrounded by and above water at low-tide but submerged at high tide." Hence, we still need to construct a lighthouse each on these areas so that they can qualify as basepoints. Even this measure, however, is no longer possible because of the "Declaration on the Conduct of Parties in the South China Sea" which was signed by the ASEAN members and China in 2002. In the declaration, we agreed "to exercise self-restraint in the conduct of activities that would complicate or escalate disputes and affect peace and stability including, among others, refraining from action of inhabiting on the presently uninhabited islands, reefs, shoals, cays, and other features and to handle their differences in a constructive manner." Both Sabina Shoal and Iroquois Reef are presently uninhabited but are being claimed by RP, China and Vietnam. Another major defect of Option 4/HB3216 is, as we can see from the table, seven of the designated basepoints are islands presently occupied by other countries. According to the Digital Gazetteer of the Spratly Islands, these are: Kalantiaw Cay (Vietnam); Paredes Reef (Vietnam); Kagitingan Reef (China); Mariveles Reef (Malaysia); Pugad Is. (Vietnam); Kanluran Reef (Vietnam) and Investigator Reef (being claimed by China). To insist on using these islands/reefs as base-points is in contravention of the 2002 ASEAN-China Declaration on the Conduct of Parties in the South China Sea and may cause outrage among affected States. Designating basepoints on uninhabited, though contested areas such as Scarborough Shoal can be defended legally and politically. But to place basepoints on foreign-occupied territory, no matter how strong our claim, is an act of aggression. If the proponents of Option 4/HB 3216 have not yet realized this, then the information provided by this paper, hopefully, will make them reconsider. In view of the discussions above, the best option to adopt is Option 1 as stated in SB 1467. As explained above, the passing of SB 1467 will not weaken our claim over the Kalayaan Island Group (KIG) or what is internationally known as the Spratlys. Still, the fact remains that, we are only one of many claimants in that group of islands. Of these, only Brunei has not physically occupied its claimed territory. According to the Digital Gazetteer of the Spratly Islands (it admits the reports are varying), Vietnam has occupied 25 islands; China, 13; RP, 8; Malaysia, 5; and Taiwan, 1. With this situation, it is impossible to expect a scenario where all these countries will just suddenly pack up and go home. On the contrary, we should even expect some of these claimants to assert their presence more in the coming years to explore potential oil deposits amidst the increasing demand and diminishing oil reserves elsewhere. In such a scenario, skirmishes are not unlikely as our Navy ships and fishing boats are regularly navigating these waters. In the meantime, nobody gets to benefit from whatever rich natural resources the area has to offer. There are several avenues enumerated in the UNCLOS as regards conflict settlement, foremost of which is the mutual agreement of all claimant States. But after factoring in the unpleasant experiences (including our own) of countries conducting joint development agreements with China (Wain 2008), it may be best to strengthen ties within the ASEAN first. This way, our collective position would be at parity with China in any future agreement. This is the only peaceful way to resolve this issue. The Joint Marine Seismic Undertaking (JMSU) was initially entered into by RP and China on 01 Sept 2004. Vietnam initially voiced concern as it was a violation of the 2002 Declaration on the Conduct of Parties in the South China Sea (Wain 2008). But at some point, Vietnam was won over when it was included in the project. Because of this, it is now officially called a Tripartite Agreement for Joint Marine Seismic Undertaking (JMSU) in The Agreement Area in the South China Sea. 1. It smacks of bad faith on our part as it was forged without consulting with the other members of the ASEAN while there was an existing status quo agreement among them. (Wain 2008). 2. It excluded other claimant States like Brunei, Malaysia and Taiwan. 3. It was grossly disadvantageous on our part because it included areas that were not disputed. 4. Because some subject areas are solely ours, it violated certain provisions of Art. XII of the 1987 Constitution relating to the exclusive use of our own marine wealth or, if it is a joint exploration, the President's obligation to submit such agreement to Congress within 30 days. 5. We are not at parity with China in terms of the actual conduct of the exploration since we are relegated to mere observers aboard their research vessels. Hence, there can be no guarantees about the integrity of the research results. According to para 1 of Art. 76 of the UNCLOS, "the continental shelf of a coastal State comprises the sea-bed and subsoil of the submarine areas that extend beyond its territorial sea throughout the natural prolongation of its land territory to the outer edge of the continental margin, or to a distance of 200nm from the baselines from which the territorial sea is measured where the outer edge of the continental margin does not extend up to that distance." According to para 6 to 8 of Art. 76, a coastal State is allowed to claim the outer limits of a continental shelf beyond the 200nm but not exceeding 350nm from the baselines as long as the information on the said limits are submitted to the Commission on the Limits of the Continental Shelf (CLCS). The CLCS would then make the recommendations to the coastal State regarding the outer limits and the adoption of which would make it final and binding. Art. 4 of Annex II, on the other hand, states: "Where a coastal State intends to establish, in accordance with Art. 76, the outer limits of its continental shelf beyond 200nm, it shall submit particulars of such limits to the Commission along with supporting scientific and technical data as soon as possible but in any case within 10 years of the entry into force of this Convention for that State." Since the UNCLOS officially entered into force 16 November 1994, supposedly, the ten-year deadline would have expired on 15 November 2004. However, because of the difficulties encountered by developing countries in coming up with technical requirements of Art. 4 of Annex II, a decision was made during the May 2001 Meeting of State Parties to UNCLOS to extend the deadline to 12 May 2009. (Sands 2005: 5). With this, our country has a little over a year to submit the particulars of our continental shelf beyond the 200nm to the CLCS. Thus, it is imperative that all pertinent institutions of government provide and extend all the necessary support to NAMRIA to make sure that it accomplishes its mission on time. To compound this deadline problem, we still do not have a new baselines law from which to measure the outer limits of our continental shelf. While there is no deadline in the submission of particulars for a State's baselines, it is, however, the basis for measuring all maritime regimes including the extended continental shelf (VERA Files 2008). Therefore, we should pass the new baselines bill even way before the 12 May 2009 deadline to give NAMRIA ample time to adjust their data on our continental shelf, assuming that it would have the necessary data by then. The approval of SB 1467 is without prejudice to our existing claim on Sabah. Although the bill is not as explicit as Sec. 2 of RA 5446 where it mentioned that RP has dominion and sovereignty over Sabah, still Sec. 5 of SB 1467 states that the baselines law shall be without prejudice to other claims. To be sure, Article I of the 1987 Constitution has already covered our claim over Sabah and other similarly situated territories and no law can possibly override this Constitutional provision. Having said that, the Sabah claim will always be a lingering issue for as long as we will not be brave enough to confront it. Sadly, all the administrations since 1986 refused or lacked the political will to resolve it. As things stand, our country has a strong existing legitimate claim over Sabah, on behalf of the heirs of the Sultanate of Sulu. On the other hand, Malaysia had been in actual possession and control over the island for more than a century now and, worse, the inhabitants of Sabah have expressed their desire to remain under Malaysian rule. Hence, it is very unlikely that Malaysia would give up its claim even with extreme pressure from the international community. Maintaining status quo may be the preferred option of our past and present National leaders so as to avoid either being accused of selling-out our interests, or creating tension in diplomatic ties with Malaysia. However, maintaining status quo is favorable to Malaysia as they continue to possess, control and exploit Sabah. Moreover, as time passes by that the issue is not resolved, the farther removed are we from the actual circumstances on how Malaysia got to possess Sabah in the first place, which is essential to proving our claim. And, of course, the heirs of the Sultanate of Sulu are continuously deprived of their inheritance. War is definitely not an option not only because our armed forces are ill-equipped for such an endeavor but, more importantly, because we, as a people, have not reached and is nowhere near the level of nationalism and patriotism necessary for launching a politically, socially and economically costly undertaking such as a full-scale war with another country. Pragmatically, therefore, the only option to resolve the Sabah issue is a compromise settlement between RP, Malaysia and the heirs of the Sultanate of Sulu. The author concedes, however, that even this option would not be easily accomplished but then again, reasonable men will always reach a point of agreement. Push for the passing of SB 1467 and its counterpart in Congress before May 2009 so that there will be a basis for measuring the outer limits of the territorial sea, contiguous zone, exclusive economic zone and continental shelf. More importantly, so that our country can now officially claim the limits of our National Territory that is consistent with the international covenant of UNCLOS. Push for the submission of particulars of the outer limits of the continental shelf to the UN Commission on the Limits of the Continental Shelf before the 12 May 2009 deadline by supporting NAMRIA and other concerned agencies in their data gathering. C. Reach out to other claimant States of the contested territories in order to settle disputes and come up with an agreement for joint exploration and development so that all these States can finally benefit from the abundant natural resources in these areas. D. Comply with the other UNCLOS obligations of an archipelagic State. Modernize the Navy and Coast Guard. Logically, the next step after having firmly and clearly established our territory is to protect it. Aside from the basic demands of naval defense, we should increase our capability for maritime law enforcement operations. E. Conduct a legislative inquiry on the Tripartite Agreement for Joint Marine Seismic Undertaking. As shown in the discussions above, the baseline issue is quite technical and highly complex because of the interplay with other equally important national security, economy and foreign policy issues. But after carefully analyzing these issues separately, this paper tried its best to come up with reasonable and feasible courses of action which, hopefully, would be given due consideration. Still, everything starts when we finally make a stand, as a Nation, by defining the limits of what is truly ours and what will be good for our country now and in the generations to come. 2008 VERA Files (Tordesillas, Ellen et.al.). "Arroyo neglect, government infighting jeopardize RP's territorial claim." 24 March 2008. Downloaded from www.ellentordesillas.com. 2008 Wain, Barry. "Manila's Bungle in The South China Sea." Far Eastern Economic Review. January/February 2008. 2008 Digital Gazetteer of the Spratly Islands. Downloaded from http://community.middlebury.edu. 2008 NAMRIA Nautical Chart No. 4723 (provisional copy). Philippines. 2007 Trillanes, Antonio IV F. Senate Bill No. 1467: An Act Defining the Archipelagic Baselines of the Philippine Archipelago, Amending for the Purpose Republic Act No. 3046 as Amended by Republic Act No. 5446. Senate of the Philippines. 2007 Cuenco, Antonio V. House Bill No. 1202: An Act Defining the Archipelagic Baselines of the Philippine Archipelago, Amending for the Purpose Republic Act No. 3046 as Amended by Republic Act No. 5446. Congress of the Philippines. 2007 Cuenco, Antonio V. et.al. House Bill No. 3216: An Act Defining the Archipelagic Baselines of the Philippine Archipelago, Amending for the Purpose Republic Act No. 3046 as Amended by Republic Act No. 5446. Congress of the Philippines. 2005 Sands, Philippe. "Introductory Note on Issues Concerning Rights/Obligations and Deadlines Under Part XI of UNCLOS in Relation to the Extended Continental Shelf." Written for the Meeting of Commonwealth Law Ministers and Senior Officials. Ghana. 17-20 October 2005. 2005 Department of Foreign Affairs. Position Paper: "Determination of Baselines." 02 Aug 2005. 2005 "Joint Statement on the Signing of a Tripartite Agreement for Joint Marine Seismic Undertaking in the The Agreement Area in the South China Sea." Makati, Philippines. 14 March 2005. Downloaded from http://china-japan21.org. 2004 NAMRIA Nautical Chart No. 4200. Philippines. 2004 Agreement for Joint Marine Seismic Undertaking in Certain Areas in the South China Sea By and between China National Offshore Oil Company And Philippine National Oil Company. Beijing, China. 01 September 2004. 2002 "Declaration on the Conduct of Parties in the South China Sea." Phnom Penh, Cambodia. 04 November 2002. 1999 Zou, Keyuan. "Scarborough Reef: A New Flashpoint in Sino-Philippine Relations?" International Boundaries Research Unit. Canada. 1987 Constitution of the Republic of the Philippines. 1982 United Nations Convention on the Law of the Sea. 10 December 1982. 1978 Presidential Decree No. 1596: Declaring Certain Area Part of the Philippine Territory and Providing for their Government and Administration. Philippines. 11 June 1978. 1978 Presidential Decree No. 1599: Establishing an Exclusive Economic Zone and for Other Purposes. Philippines. 11 June 1978. 1968 Republic Act. No. 5446: An Act to Amend Section One of Republic Act. No. 3046, Entitled "An Act to Define the Baselines of the Territorial Sea of the Philippines." Philippines. 18 September 1968. 1961 Republic Act No. 3046: An Act to Define the Baselines of the Territorial Sea of the Philippines. Philippines. 17 June 1961. 1898 The Treaty of Paris. France. 10 December 1898. * Other presentation documents, tables, charts and illustrations provided by NAMRIA. My homeland seem to have no hope.